The best vacations are ones that expand your mind and your palate through amazing food and drinks. These are the top 10 countries to visit if you’re a true foodie who wants to eat around the world. Some of the best parts of traveling are experiencing all the different food each new country or city has to off. With each new culture comes new traditions, recipes, and spices. Some people travel to a certain country specifically for the food. 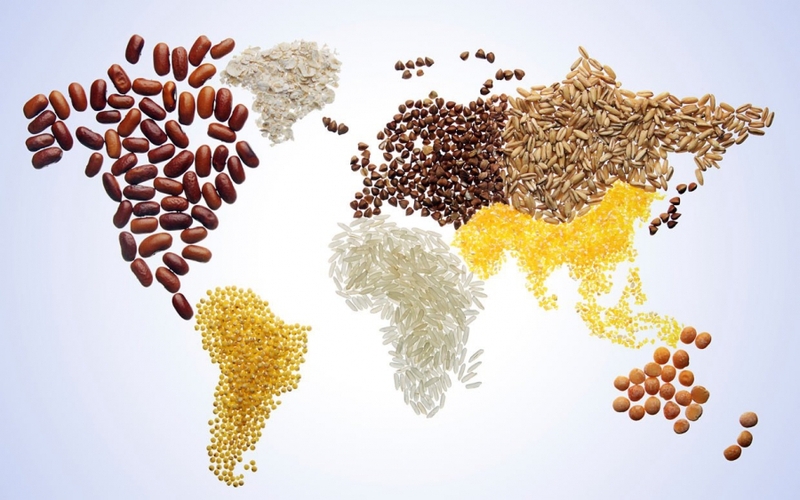 The world is a melting pot of ethnicities and cultures, creating some of the best food we have come to know and love. If your planning your next travel vacation and are wondering where some of the best food spots are, look no further. We’ve compiled a list of the top 10 countries to visit around the world (Europe isn’t the only place that has amazing food!) if you’re a foodie at heart. Keep reading to learn which spots not to miss on your next adventure. Considered part of the Mesoamerican region, Mexico is our first stop on the world food tour. Among your typical Mexican food – enchiladas, quesadillas, and tacos among them- you’ll find a unique array of cuisine. Varying from zesty Greek salads to Indian curry, you’ll find yourself wandering the streets of Mexico looking to try the next common dish with a twist. Most food creations will differ in sauciness and ingredients depending on the town you’re visiting. Staying in a beach town? Don’t forget to try a wide selection of available seafood. Staying in a mountain town instead? Opt for the pork or steak. If you’re looking for a specific restaurant to try, Mexico City had three named on the 2015 World’s 50 Best Restaurant List – Pujol, Quintonil, and Biko. Don’t forget to take a taste of tequila; ask some locals what their favorites are to find the best ones. Morocco is known for its beautiful mosques, perfect surfing waves, and of course, it’s variety of spice markets. With a mix of Arab, Persian, French, and African cuisine flavors, you’ll never run out of food to try. Moroccan cuisine has influences from many different cultures, including the Mediterranean region which pairs spices from North Africa. You’ll find meats infused with saffron, mint, and olives. Locals enjoy dishes made of lamb, seafood, rabbit, mutton, and even camel! If you’re looking for some Moroccan delicacies, visit Tangier where you’ll find barrels in vibrant, beautiful colors and a variety of spice shops. Craving something quick? Morocco has their own version of fast-food which includes streets lined with stalls offering teas, pastries, and meats. Please the foodie in you by visiting the largest market in Morocco – Marrakech. Nearly one hundred stall vendors are available to choose from. Goodmorning, Vietnam! You may not think of delicious cuisine when you think of visiting this country, but you’ll find there’s more to enjoy than just the world’s largest cave. Relax and take in the culture including the food. You’ll feel as though you’ve traveled to a completely different world as you eat a tradition pho dish and sip Vietnamese coffee. Known for its vibrant culture, Thailand offers some exotic and delicious food along its shores. Bangkok and Phuket are the two most popular destinations and their cuisine doesn’t disappoint. Ride along the Bangkok Food Tour and enjoy the local food which offers flavors and spices that will have you begging for more. You’ll find dishes like curry puffs and exotic fruits along with a minced meat salad card larb. If you shy away from spicy food, Thailand won’t be for you. Noodle dishes and fresh seafood are packed with powerful flavors almost to the point of being addictive. Locals enjoy some different dishes throughout their day. Mix some chicken and coconut and make coconut soup or opt for a spicy beef salad. From Bangkok to Phuket, Thailand offers an array of food options, both in fancy restaurants and in outside food vendors. Some say Thailand is “the most coveted of international cuisines” and one you should not leave off your foodie list. This beautiful country offers more than just exotic animals from the land down under. Sydney, Austraila has a variety of food styles to satisfy any craving or mood. Whether you’re a partier who needs the cure for a hangover or you’re attending a fancy gala, Austraila has it all. In addition to Austraila’s diverse food is their spoken languages. You’ll find some Australians speaking Arabic while others speak Mandarin in the countries capital. Other languages you might here while chowing down at a local pub are English, Greek, Cantonese, and Vietnamese. Outside of the pubs, you’ll find food infused with many spices and flavors, especially at white table clothed restaurants serving gourmet dishes. If you’re looking for a unique experience, visit the Sydney Fish Market. The world’s 3rd largest fish market and the largest of its kind in the Southern Hemisphere, you’ll find fish to make your own Australian dinner. Outside of Sydney, you can visit the most liveable city in the world – Melbourne. Make time to explore Melbourne’s Mornington Peninsula where you’ll find beaches, vineyards, and of course delicious food. Spain – a country filled with music, festivities, and amazing food. Traveling to the southern part of Spain will bring you to Granada where you can visit local tapas bars. Some of these offer specials like with each drink you buy you get a free tapa. You’ll definitely be going outside your comfort zone by trying some food that is often a chef’s choice. Head to Barcelona for some authentic Spanish food. Here you’ll find markets and al fresco dining, and more tapas bars! Take a cooking class with the Interactive Spanish Cooking Experience where you’ll explore St. Josep La Boqueria market -one of the most famous markets in Spain. Here you’ll buy your produce and seafood for the cooking class, and then you’ll learn how to make a traditional paella and sangria from a Barcelona chef. Madrid is the last stop on your cuisine tour of Spain. Experience the dining, bars, shopping, and nightlife in this lively city. Sign up for the Madrid Tapas and Wine Tasting Tour to get a sense of the culture. You’ll get to sample 10 regional specialties including Iberian ham, salted cod, and chickpea stew. Take a deep breath. Do you smell that? You’re in Italy and the smell of food is everywhere! The country is known for its beloved traditional Italian food, but where do you start? Italy has numerous food tours to choose from depending on the city you are visiting. In northern Italy sits the city of Florence which is home to authentic Tuscan food. Embrace the simple and seasonal ingredients in your dishes and indulge in a bowl of comfort food – also known as ribollita. In addition to all the delicious food, you’ll be eating you have to have a glass of Chianti in the very own wine-growing region. Held in a rustic farmhouse in the countryside is the Pizza and Gelato cooking class. As you cook and enjoy your traditional Italian dish you’ll learn about the history of pizza and gelato. When in Rome, take a walking tour of the Rome Food Tour by Sunset around Prati District. You’ll explore Prati, sample 20 local favorites and avoid the tourist spots. One of the last food tours on our Italian cuisine list is in Venice. Venice has a huge culinary scene, so it can get overwhelming deciding what to try. The Venice Food Tour: Cichetti and Wine introduces food lovers to fish markets, the Cannaregio neighborhood (home of the spicy fried meatball), and famed watering holes. Food may not come to mind when you think of Singapore, but it will once you try their authentic cuisine. Located in busy shopping centers off the main strip, “hawker stalls” are the best eating spots in the country. Think of an on-site food court and that’s what these are. Dishes of Nasi-Goreng and prawn noodles will make you wish you had a never-ending stomach. You can find outdoor stalls as well in areas like Newton Circus. Hours can be spent at these stalls where local sellers offer beer and a variety of dish choices. Not only is Greece known for its Mediterranean views, but also for its fresh Mediterranean food. Each dish has the freshest local ingredients added to them. Not only will these dishes satisfy the foodie in you, but they also make great social media posts. From colorful salads to kalamata olives, your taste buds will come alive. Almost every dish has Greece’s greatest export – olive oil. Travel to Athens to experience some of the best Mediterranean food. Here you’ll find options to try fine dining or street food. You can’t leave the country without trying Greek classics like kebabs and moussaka. Tasting all this food will make you want to taste, learn, and see more. Like Greece, Portugal also has a Mediterranean influence when it comes to food, but with some Indian and African flair as well. In Portugal, you’ll find you won’t be ordering appetizers or main dishes, but a combination of both. Graze your way through a variety of dishes. Many people in this part of the world eat fish as part of the countries well-developed fishing industry. Though they know how to cook their seafood, it might be a bit different than your used to. Try their version of sardines, Feijoada (a meat stew with butter beans or kidney) or suckling pig. If you’re already a seafood lover, the cataplana dish is one you won’t be able to resist. Travel to the coast of Portugal known for Port wine. Open-air markets offer samples of sausages, pastries, produce and cheeses. People who experience the authentic food while traveling are really experiencing the whole country. These are just some of the top 10 countries to visit if your stomach is looking to try some unique and different dishes. For more information on traveling, food, and beer, check out our blog. Have questions? Contact us!